A tall white male dressed in all black stands on top of a rooftop water tank. In his hand is an M-4 assault rifle a with a large scope used to spot his target. With the shot lined up and his target in sight, a chrome canister lands in front of the bad guy’s boots and fills the air with smoke. Out of the smog leaps the Devil of Hell’s Kitchen who delivers a powerful kick to knock down the armed gunman. Despite his inability to see, the Devil patrols the streets, faced with impossible odds and the mean streets of New York City. He uses his super-human awareness and rigorous martial arts training to fend off new foes in Season 2 of Daredevil on Netflix. 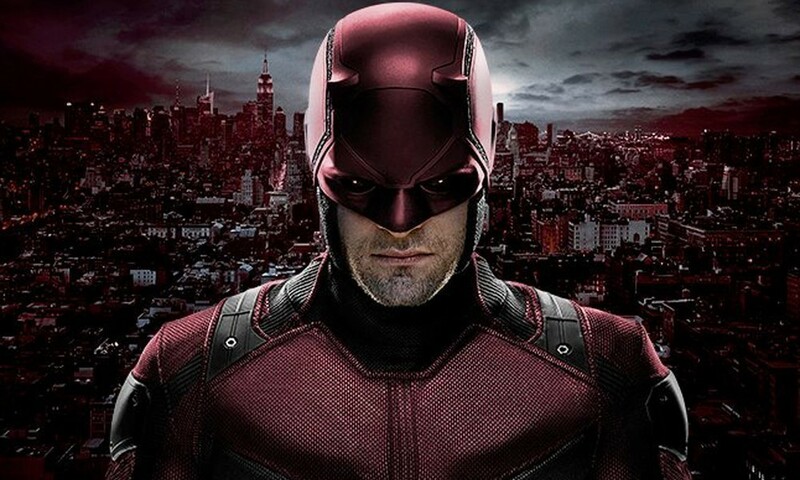 “Movies like Captain America: The Civil War might receive the lion’s share of attention when it comes to the MCU (Marvel Comics Universe), but Season 2 of Daredevil is a show that in my opinion is the essence of how the serialized storytelling of comic books should be adapted to the screen,” said James Handcock, who wrote a fan review on The Wrongreel website. On March 18 Netflix original series released Marvel’s Daredevil, continued events from Season 1 and introduced a new arrangement of Marvel figures. Actor Charlie Cox continues his role as Matt Murdock and the vigilante Daredevil. Elden Henson playing Murdock’s lawyer associate Foggy Nelson, and Deborah Ann Woll who plays their secretary Karen Page, enhance their roles as primary characters in the latest season. The last season of Daredevil introduced viewers to the blind lawyer Matthew Murdock, son of a boxer and trained martial artist. Murdock uses his superhuman senses to see the world around him. The Nelson and Murdock law firm was struggling to find any cases until they discovered a series of homes being taken away by an unknown source. Murdock used his skills to investigate the streets of Hell’s Kitchen and take down any criminals trying to stop him. Defeating the crime lord Wilson Fisk played by notable actor Vincent D’Onofrio both in and outside of the law left viewers with an iconic final fight scene between the full suited Daredevil and Fisk aka King Pin. The darker uniformed Daredevil best reflecting artist Frank Miller’s interpretation of the vigilante left its mark in Season 1 but Season 2 brings entirely new costumed figures into the mix. Producers of the series faced the challenge of including two other iconic Marvel figures into the new season. Well known actor John Berthnal portrays a vengeful and merciless solider named Frank Castle. The show lets us in on how Frank Castle, a decorated Marine and father of two, becomes a vengeful seeking army of one called The Punisher. His streak of killing off criminals and gangs without remorse proves indifferent to that of Daredevil’s rules on the streets. The Punisher is a well-known figure in the Marvel comics for his brutal nature and producers make no effort at censoring his violence. The actress Elodie Yung stars as Daredevil’s past love interest Elektra. The dangerous and highly skilled assassin trained to kill and her instincts often clash with those of Daredevil. Her influence on Murdock interferes with his relationships to close friends and change how he conducts himself. Among the latest Marvel releases viewers will also find a trailer for Marvel’s Luke Cage series, said to be released Sept. 30 on Netflix according to Pitchfork Media. The show will focus on the story of the indestructible skinned, super strength man from Harlem NY.